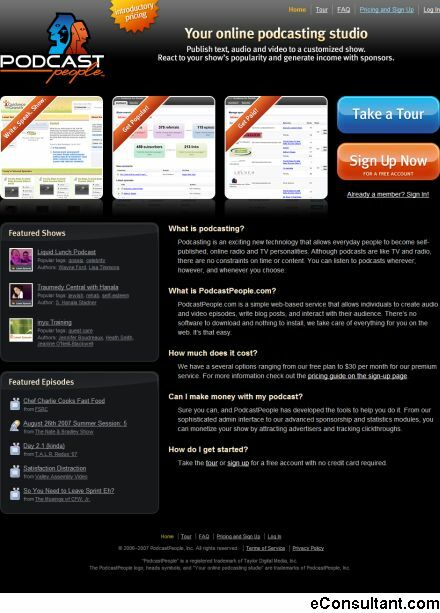 Description : PodcastPeople is a simple web-based service that allows individuals to create audio and video episodes, write blog posts, and interact with their audience. There’s no software to download and nothing to install, PodcastPeople takes care of everything for you on the web. It’s that easy.